How can a homeowner recognize when a roof has problems? All too often, roof problems are discovered after leaking or other serious damage occurs. Periodic (twice-a-year) inspections can often uncover cracked, warped, or missing shingles, loose seams and deteriorated flashings, excessive surface granules accumulating in the gutters or downspouts, and other visible signs of roof problems. Indoors, look for cracked paint, discolored plasterboard, and peeling wallpaper as signs of damaged roof areas. You have two basic options. You can choose a complete replacement of the roof system, involving a tear-off of the old roof, or a re-cover over the existing roof, involving only the installation of a new membrane and surfacing. If you’ve already had one recover over your original roof, check with a professional roofing contractor to see if your deck can support a second recover. My roof leaks. Do I need to have it totally replaced? Not necessarily. Leaking can result because some flashings have come loose or because a section of the roof has been damaged. A roof failure, however, is generally irreversible and results from improper installation or choice of materials, or from the installation of a roof system inappropriate to the building. Most work should not be do-it-yourself. Professional roofing contractors are trained to safely and efficiently repair or replace a roof. Novices can harm a roof with improper roofing techniques and severely injure themselves by falling off or even through a roof in need of repair or replacement. Homeowner maintenance should be confined to roof inspections in both the fall and spring to check for cracked or curling shingles, and for cleaning rain gutters filled with dead leaves and other debris. If you must see the roof for yourself, use a firmly braced or tied-off ladder equipped with rubber safety feet. Wear rubber-soled shoes and stay on the ladder (and off the roof) if possible. The condition and lifespan of your roof will depend on the type of roof you have, the effects of your local environment and the maintenance which the roof has received. According to the American Society of Home Inspectors, asphalt shingles generally last 15-20 years; wood shingle/shakes, 10-40 years; clay/concrete tiles, 20+ years; slate, 30-100 years; metal roofing, 15-40+years. 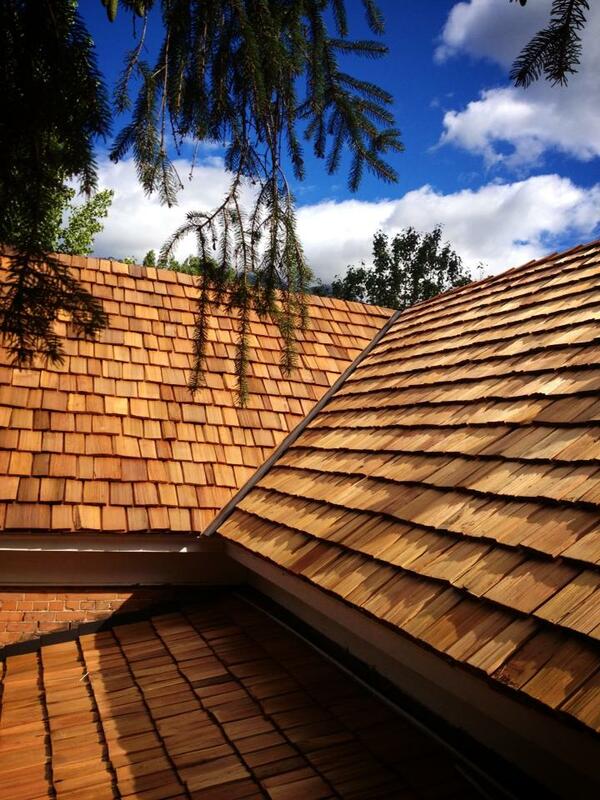 Roofing product manufacturers offer a variety of warranties on their products. Take a close look at those warranties to see what responsibilities and financial obligations they will assume if their products fail to reach their expected lifetimes. The price of a new roof varies widely, depending on the material selected, the contractor doing the work, the home itself, area of the country, local labor rates, time of year, and more. To get a good idea of the cost for your roof, get two of three estimates from reputable contractors in your area. Keep in mind that cost is only one factor, and it must be balanced against the quality of the materials and workmanship. For each roofing material there are different grades – and corresponding prices. Plus, there are a variety of styles and shapes. You need to look at the full product range and make a choice based on your budget and needs. Within the roofing profession there are different levels of expertise and craftsmanship. Pick a contractor who is committed to quality work. How can I determine my annual cost? Please remember that the more detailed information we have about the job, the better an estimate we can calculate.